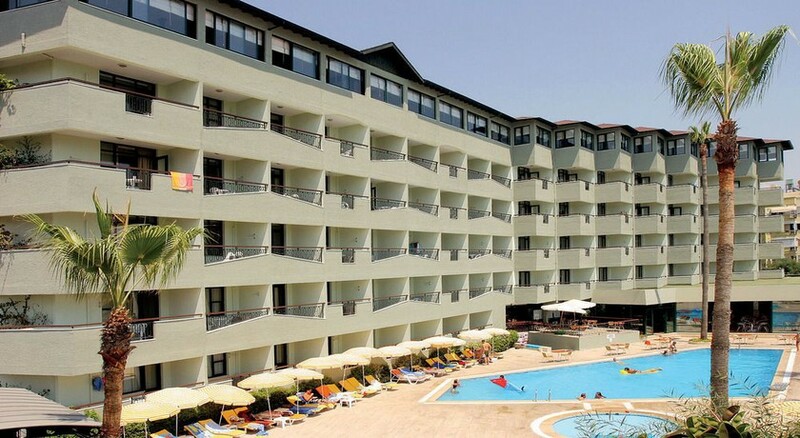 The Elysee Hotel is located on the west coast of Turkey just outside the popular tourist resort of Alanya. Offering an All Inclusive package, the Elysee Hotel has 100 welcoming rooms and offers a friendly holiday base for couples and families who can enjoy a good restaurant and bar, pool for adults and children, fitness centre and sauna facilities, sports fun and a private beach. 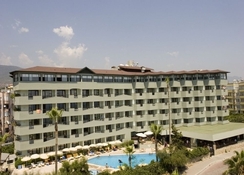 With easy access to close-by marvellous beaches and charming villages and the urban bustle of Alanya town, when you book into the Elysee Hotel, look forward to experiencing Turkish hospitality and exploring the delightful area. Getting to the hotel: 130km to Antalya Airport. 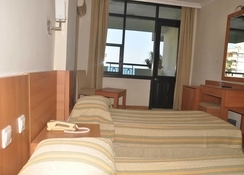 Local tips: The hotel is only 1km (walking distance) to the town centre and close to the attractions of Red Tower and Harbour, Alanya Castle and city wall, Damlatas Cave, Dim Cave, and the Bazaar. Alanya hosts a variety of annual festivals such as the Tourism Art Festival (end of May to the beginning of June), the Alanya International Culture and Art Festival (beginning of October), and the Alanya Jazz Festival (beginning of September). Food, drink and entertainment: Main rooftop restaurant and bar with a panoramic Alanya Harbour landscape offers buffet-style breakfast and dinner, poolside snack bar offers Mediterranean cuisine and traditional Turkish dishes, Patisserie with pastries, tea & coffee, and TV room. Sport, games and activities: Swimming pool with sun terrace and garden areas, loungers & parasols (charge), fitness centre, sauna, massage service, table tennis, billiards, beach volleyball, water sports facilities, and a private beach with loungers & parasols (charge). For the kids: Children's pool section in main pool, games room. 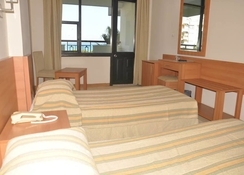 Additional: 24 hour Reception Services, housekeeping, multilingual staff, currency exchange, medical service, laundry service, complimentary WiFi internet access in public areas, safe boxes, and a meeting room.